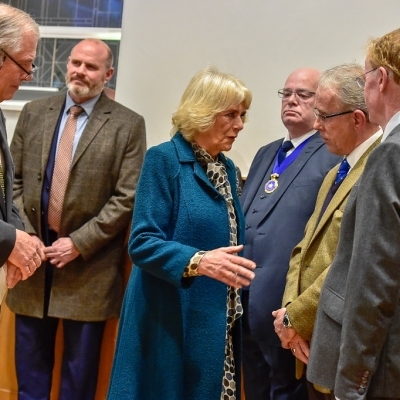 On Friday 14th December 2018, The Duchess of Cornwall officially opened the newly restored Julia and Hans Rausing Building (formerly Malmesbury’s Moravian Church) at a VIP event to thank major donors and supporters. As both a business and personal donor, owner of Blount & Maslin Estate Agents, Keith Maslin had the honour of attending. 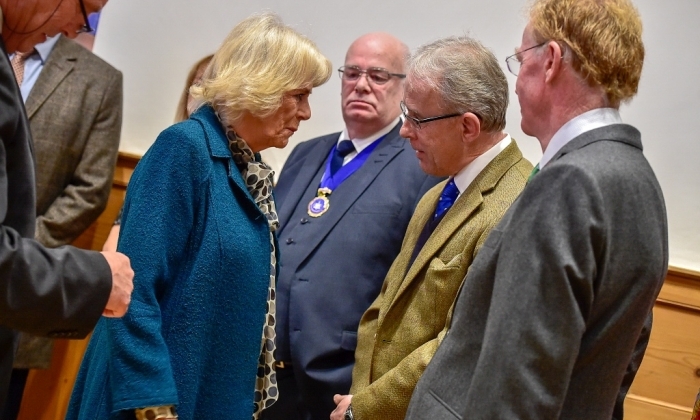 Keith states “It was a real pleasure to meet The Duchess of Cornwall and to also support the restoration of the Julia and Hans Rausing Building, which I’m sure will be a fantastic resource for the town of Malmesbury”. The new multi-purpose educational, heritage, cultural and arts centre will benefit Malmesbury’s Athelstan Museum, the people of Malmesbury and the surrounding villages. The integrity and original features of the building have been retained and combined with state-of-the-art design features, creating a stunning, exciting space. Sharon Nolan, Chair of the Athelstan Museum quoted ‘As a team we are extremely proud we have restored a derelict building to its former glory, providing an added facility for the Museum and a unique cultural, arts, and educational opportunity for the area.’ Many local craftspeople and tradesmen were involved in the project included Artist Melissa Cole who designed and made the Moravian Star sculpture featured in the new ornamental garden; Sasha Ward – Glass Artist, Jonathon Rixon -Architect, Andy Nurden Builders and stained-glass windows craftsman Mike Vincent. A commemorative book listing all donors and craftspeople is being compiled together with a donor board which will be on display in the building. Click here to view properties currently available with Blount and Maslin in Malmesbury, or CONTACT US now! Any chance this could be run as a caption competition? FAQ’s: A guide to the buying process. From start to completion on buying a house Keith and all the team were first class thank you.